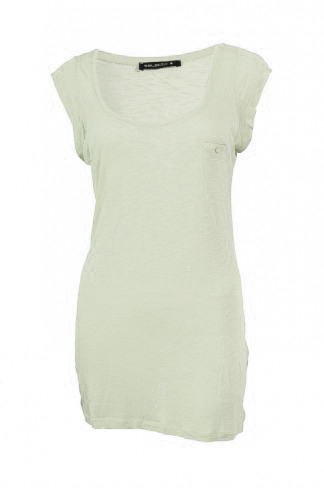 Long hanky-hem racerback top with cute cupid and flower motif. This was in Oxfam for £2.99 which was the last place we went in and I know it will come in handy as it goes great with my skinny combats, it will also be great in summer with shorts. It was also brand new! 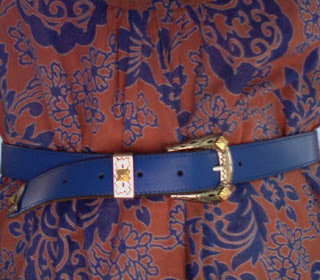 I bought this top from British Heart Foundation to go with my new mocassins, it also has a gorgeous blue pattern in and I found this amazing cobalt blue leather belt to match it as I was waiting for the fitting room, looks great with or without. The top was £1.75 and the belt was only £1! These khaki summer crops from Dorothy Perkins were only £2.75 in RSPCA and are a perfect fit, I bet I will be seeing a lot of these this summer. 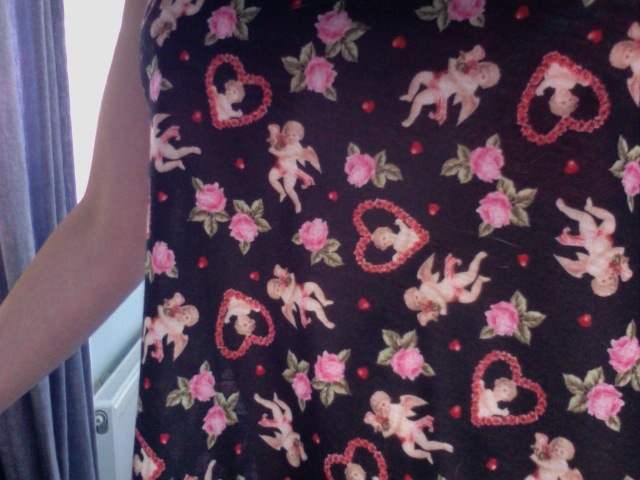 Also got on the cupid vest but I've tucked it into them here so I'm already getting wear out it! Finally, I picked up these three books mainly for my holiday. 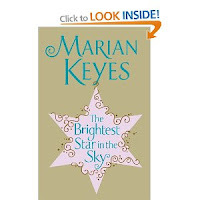 I'm a huge Marian Keyes fan and wanted to get this latest one as I already have all her others. I saw it in the window for £2.75 and in perfect condition, it will be the perfect trashy holiday read. 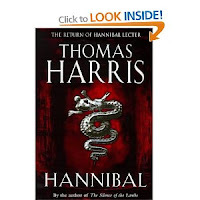 I love all the other Thomas Harris books (Hannibal Rising, Silence of the Lambs, Red Dragon) but funnily enough I havn't read Hannibal and it was only 50p for this hardback copy. 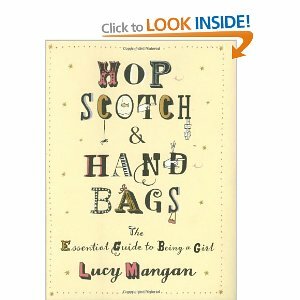 The last one Hop Scotch and Handbags was in the 'Self Help' section probably becuase they didn't know where to put it, the title underneath is The Essential Guide to Being a Girl and from the little snippets I've read I think it's going to be really funny. Its not a novel but little bits of everything, letters, articles, reviews, quizzes and allsorts. I might start on this one tonight. Another hardback bargain of £2.75! What do think to my bargains of the day? Have you found any recently? OOTD...well week to be exact! Its been a short week this week with the all the bank holidays but I thought I would show you what outfits I have been wearing to work. I work in a tiny office for a graphics company and you can wear pretty much what you like, most people choose jeans but I can't sit in jeans all day, I like to be comfy! 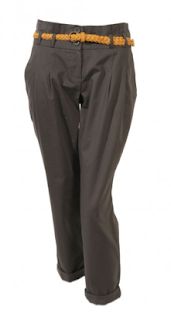 Its also really chilly in our office usually so layers are generally a good thing or at least a cardi! And a bonus outfit from date night this week! 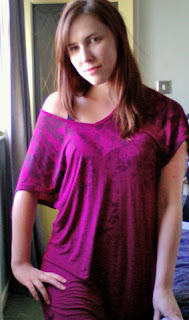 I finally wore this top I bought from River Island with some vouchers. I love the shape of it especially the floaty sleeves, the material reminds me of sofa upholstery with see-though patches- odd I know! So there you have it, sorry for not being very orginal but I promise my next post will be really exciting as I have some news! I also started a wii fit challenge last Thursday. My wii has been gathering dust in the corner for the last 6 months so thought I should actually start using it again. My challenge is to use it for a minimum of 20 mins each day, focusing mainly on core strength (yoga) with a little bit of muscle toning. So far its going really well, I had aching abs for the first 3 days, now my upper arms and thighs ache too as I have been increasing the muscle work outs plus an extra bit of rhythm boxing which is my favourite! Here is how it is going so far as I am tracking everything to see if it makes a difference although I'm not really looking to loose weight just tone up. So, as you can see my weight has stayed pretty much consistant and I am classed at the very lower end of the 'ideal' category for BMI. I don't expect to see any real dramatic changes here but I thought it would be interesting to monitor. I will keep you updated with how its going anyway! Shopping Trip inc. Vivienne Westwood bargain! Lent ended yesterday so I arranged t go shopping with the boyfriend as he needed some new stuff too! It also happened to be his birthday yesterday so I got him a few extra pressies whilst we were out and even bought him lunch and a thorntons ice-cream! He is very spoilt :) We then went out for tapas in the evening with some friends followed by some slightly drunken bowling which was a great laugh. Anyway, I was rather disappointed with J32 as everything in the shops seemed to be all winter stuff and there just wasn't much that I was looking for, I did pick up a few bits in the most unlikely shops that I never go in though. 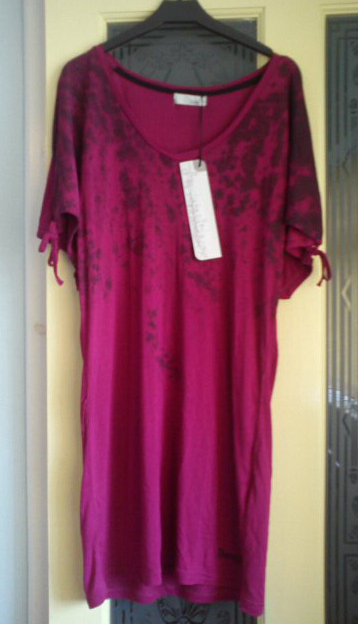 First was these tshirts from Select, rather boring but were 2 for £10 And I needed some new plain tshirts anyway. 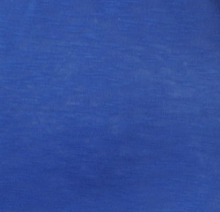 I got one in light grey and one in a gorgeous cobalt blue, they had loads of colours to choose from. They are a slub cotton so soft and comfy and also quite long too. I then found these grey pleated chinos in Select, there was one pair left in my size and they look much better in real life, they arn't all baggy like in this pic they are more fitted. The woven belt really doesn't go though, no idea why they put that on but they were only about £12 so you can't go wrong! Then I spotted this in the Bench dress, its such a gorgeous colour. 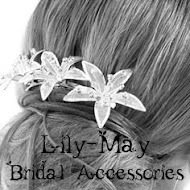 It will be great to wear with leggings but it can be worn just to throw over a bikini on holiday as its lighweight cotton. It was reduced from £30 to £10, a bargain I couldn't resist. 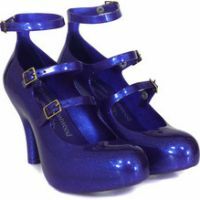 Finally, I got these beauties, Vivienne Westwood Anglomania Melissa 3 strap glitter platforms. There was only one pair left (in my size!) They change colour between purple and blue, when the woman in the shop told me I didn't believe her til I saw it happen when I wore them last night. They also smell weirdly like bubblegum. Complete strangers were stopping me and commenting on how they loved my shoes last night which is always a great feeling. They were on special offer reduced from £115 to £69.99 as they were the last pair. They had my name written all over them. So that's all for now, let me know what you think!